Here’s a cool LEGO diorama by Josh David. The model is deceptively large — check out the “bricks” built out of tiles for an idea of the scale. 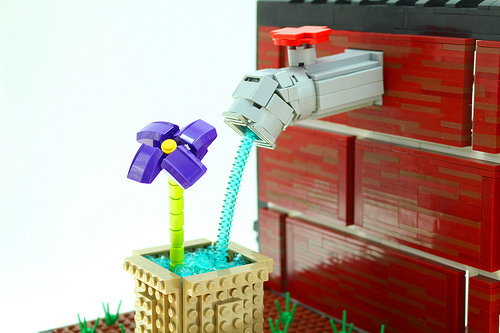 Protruding from the wall, the tap itself is nicely sculpted, and I like the simple flower and its pot.